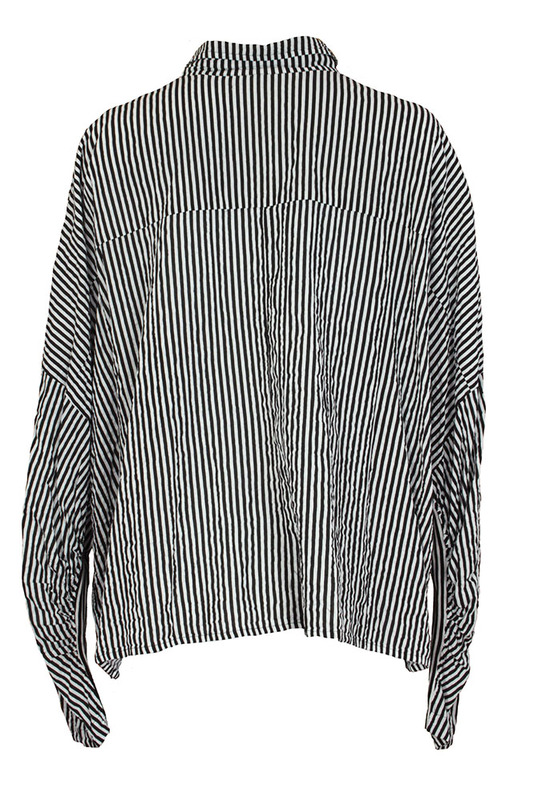 Rundholz Mainline Collection very loose, very wide shirt, design 002, wider black and white stripes. Small soft collar. 6 button fastening with placket hiding all but collar button. Slightly curved, finished cuffs. 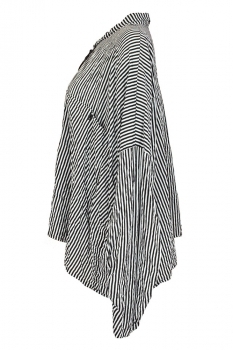 Black and white striped, stretch jersey inset panel under each arm, the main fabric is ruched at the seam to these panels. 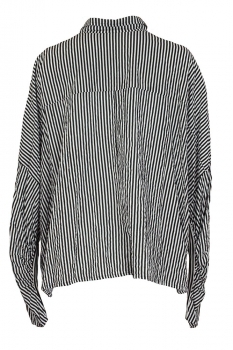 Very large patch pocket on left chest with button fastening. Matches the trousers in the same fabric to make a brilliant Summer outfit.